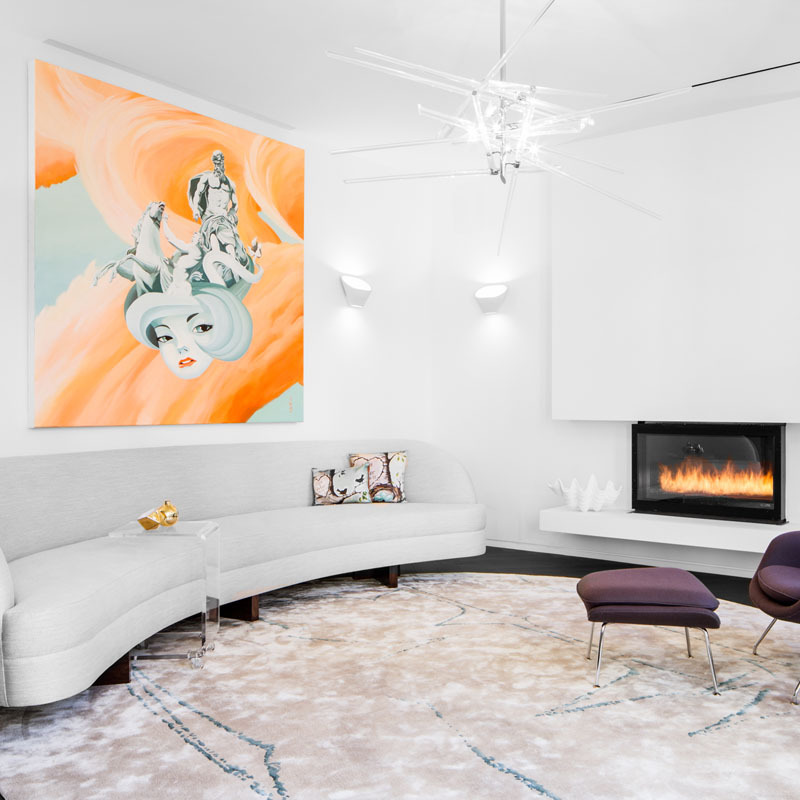 Lucky for you – and for all of us for that matter, there’s an endless amount of home decor ideas to mine and take inspiration from when decorating your home or any space. 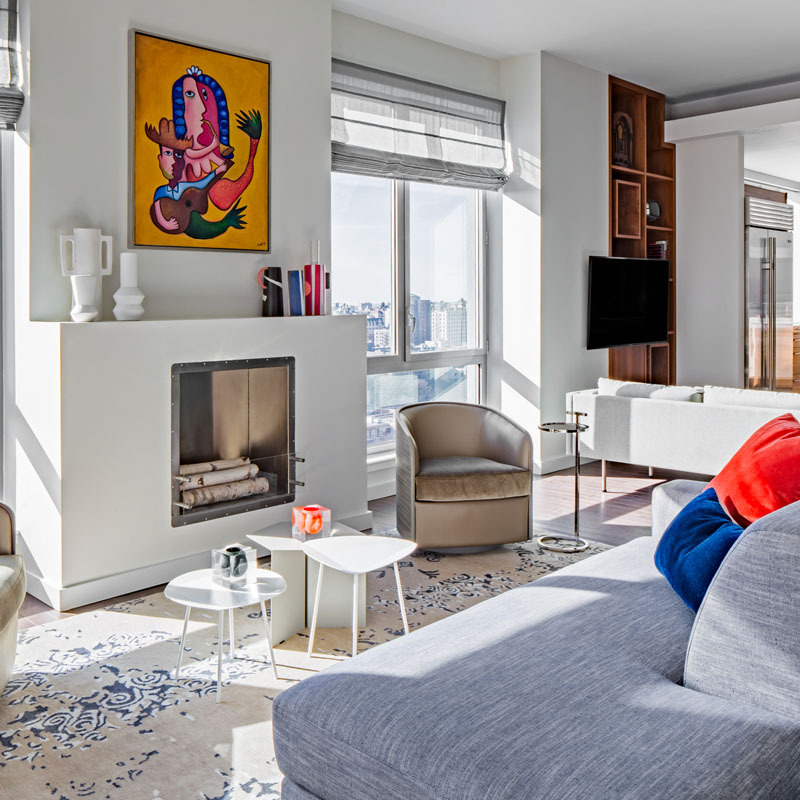 But if you’re on a limited budget, how do you get the most bang for your buck as we all want our home to boast luxury while reflecting our personality? And since achieving this goal can be a bit challenging if your budget is tight to say the least, and as quality furnishings and decorative items can cost big when you don’t plan ahead, we turned to Décor Aid designers to dish their money-saving home decor ideas to get you ready to make the most of your home regardless of your budget. Here’s how you can decorate your home for less with smart solutions for budget-friendly, life-enhancing upgrades. Shopping at local bazaars and flea markets may require a bit more effort, but these are great resources to score cheap home decor ideas to bring your home to life. Plus you’re certain to come across well-made furniture and handcrafted items for a quarter of their original price while picking up rare almost one-of-a-kind finds like a cheap dining table, bookcases, picture frames, and and accessories galore. Going vintage is one of the best home decor ideas for living room for good reason as you should always strive for a home thats layered with pieces unique to you to set your space apart with the unexpected. 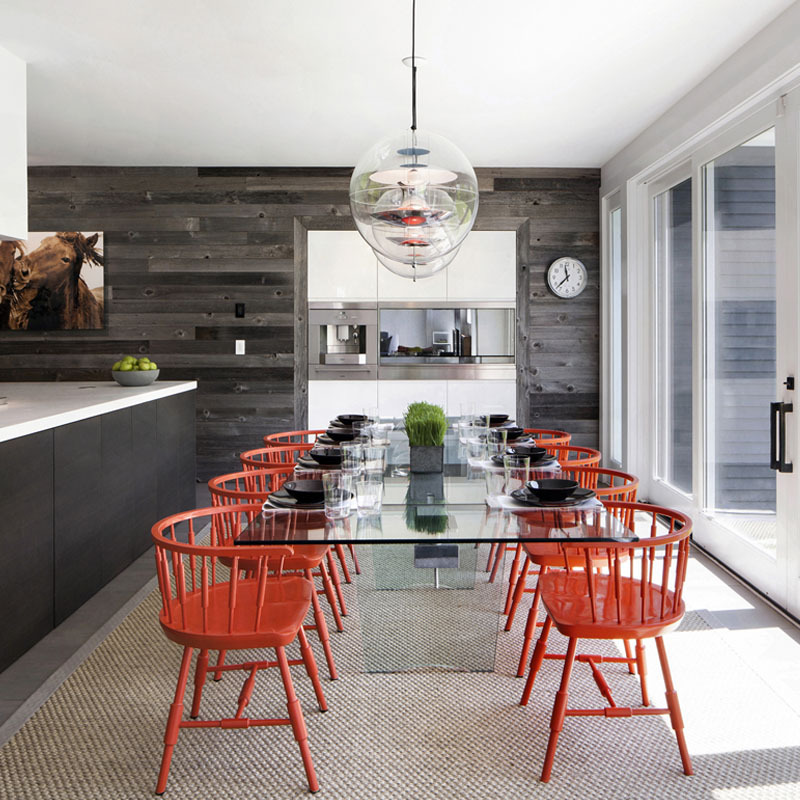 Giving your home a new look should never solely require buying new pieces. For cheap home decor ideas, try to work with what you have and reconsider placement, or a fresh coat of paint or a new upholstery for an easy cost-effective update. And the same goes before throwing our or donating old furniture and decorative items, as it’ll pay to sort through and see if you can find anything to salvage and recycle. Our designers also suggest sanding down old wooden furniture for a new look. For living room ideas on a budget, consider painting your old coffee table with conversation-starting hues to make it a rich focal point of your living room. And do take advantage of pre-mixed paint cans at hardware stores that are often considerably reduced in price to add quirky details to outdated furniture pieces. Reach out to generous friends and family members and to inquire if they have any old yet in good condition furniture and decorative accessories that they’re looking to pass down that are in sync with your own home decor ideas. Sure, these items may not be as good as brand new and may be a bit more challenging to decorate with, but there are clever ways to make them work as they’ll add a rich, varied, and layered look in your home. Reupholstering your grandmother’s outdated sofa or refurbishing a daybed handed down is one of the many great, resourceful living room ideas on a budget to consider. 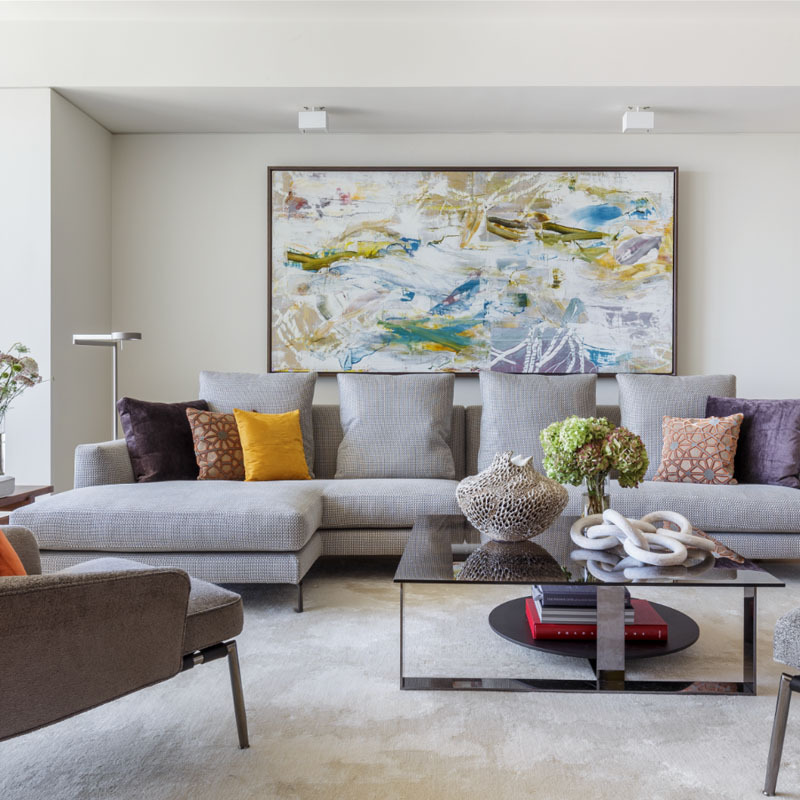 While you may need to pay to get pieces reupholstered (which can be an investment itself), this is a much more cost-effective approach than having to purchase new furnishings for your living room. One of the most popular living room ideas on a budget that is also easy to switch out is to decorate with throws and pillows as they are also easy to source, can be found inexpensively, let you bring in riotous colors and prints in small doses, and will add warmth and comfort with ease. Another effective home decor ideas for living room is to mix and match pillows of different patterns, colors, and textures for a rich, well-considered feel. Do coordinate decorative extras like pillows, blankets, figurines, and art with the rest of the items in your living room to bring a feeling of harmony to an otherwise heady mix of elements. 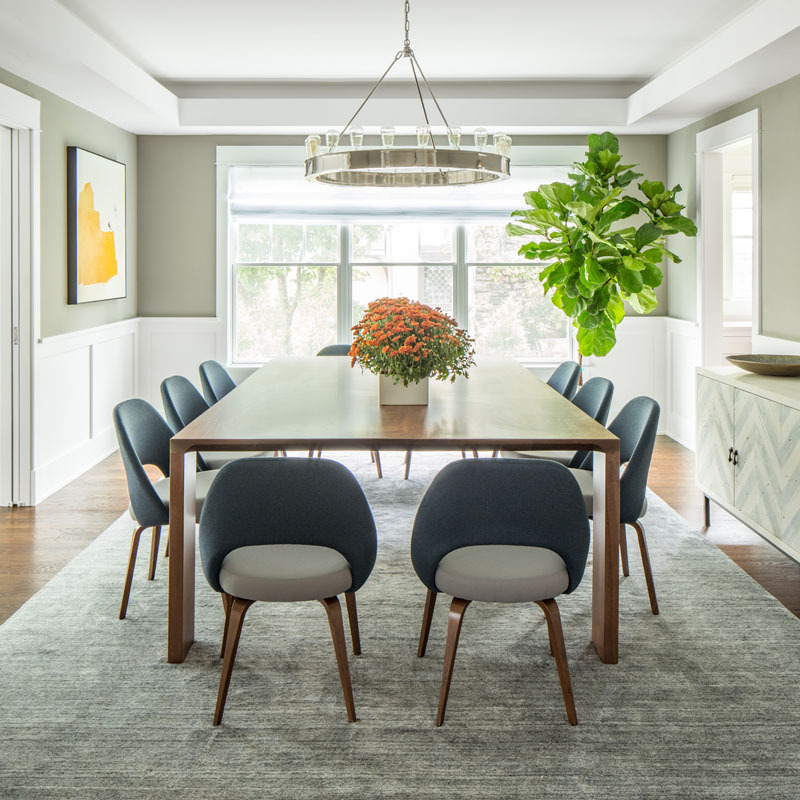 Frustratingly, one of the reasons most homeowners end up spending too much on home decor ideas is that they’re stuck focusing on symmetry and because they prefer to decorate with strict coordination. This means buying two tables, lamps, nightstands – all matching. But why? Too much symmetry will lend your home a cold, hotel-like vibe that’s far from comforting and unique. Thus, one of the most effective home decorating ideas on a budget is to avoid buying two of anything to save from monotony and boredom. If you can only afford to buy one table, look for a cheaper alternative to pair it with. The thing to keep in mind when incorporating cheap home decor ideas in pairs is scale. The two items should have similar height and proportions so they appear balanced. Most homeowners would opt to purchase a side chair when they need more seating for their living room. But side chairs are usually expensive. 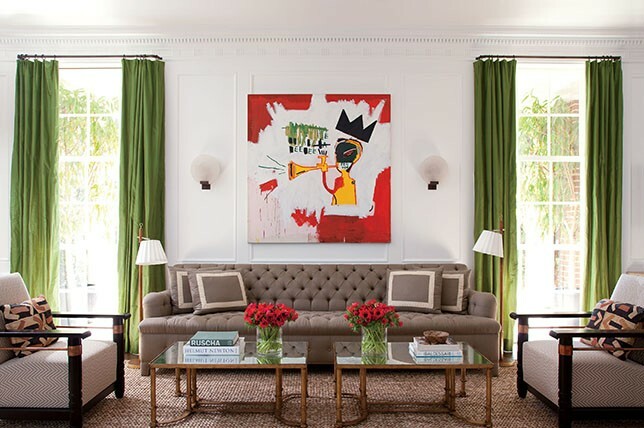 For living room ideas on a budget, our interior designers suggest buying poufs and clever storage ottomans. Aside from being practical, affordable, and stylish, these seating alternatives save on space as well. In fact, it’s one of the most effective home decor ideas for small homes since these options will never break the bank while injecting cool comfort into any room. If you can’t afford to invest substantial art for your common rooms, get creative and devise your own solutions. Simply grab a canvas and some paint and just go with it and experiment away. This is a great way to inject your personality into your home with ease (if you’re confident). This can also work for other areas in your home if you need home decor ideas bedroom and you’re on a tight budget, again, consider creating your own wall art. Bookshelves are normally used for storage, but they can also be used to highlight decorative pieces and personal collections. This is one living room ideas on a budget that our designers, and frankly any interior designer swears by as a bookcase takes up a good amount of space on your wall, which means that you no longer need to spend on a wall art. It’s a practical and visually appealing solution as well. However, in order for this home decor ideas to work, you need to do a bit of styling on your part. Instead of stuffing a shelf with tons of books, our designers suggest spacing out your favorite reads by adding a few decorative pieces, such as vases, picture frames, souvenir items, etc in the mix. When it comes to home decor ideas for living room, use your coffee table as a key focal point. 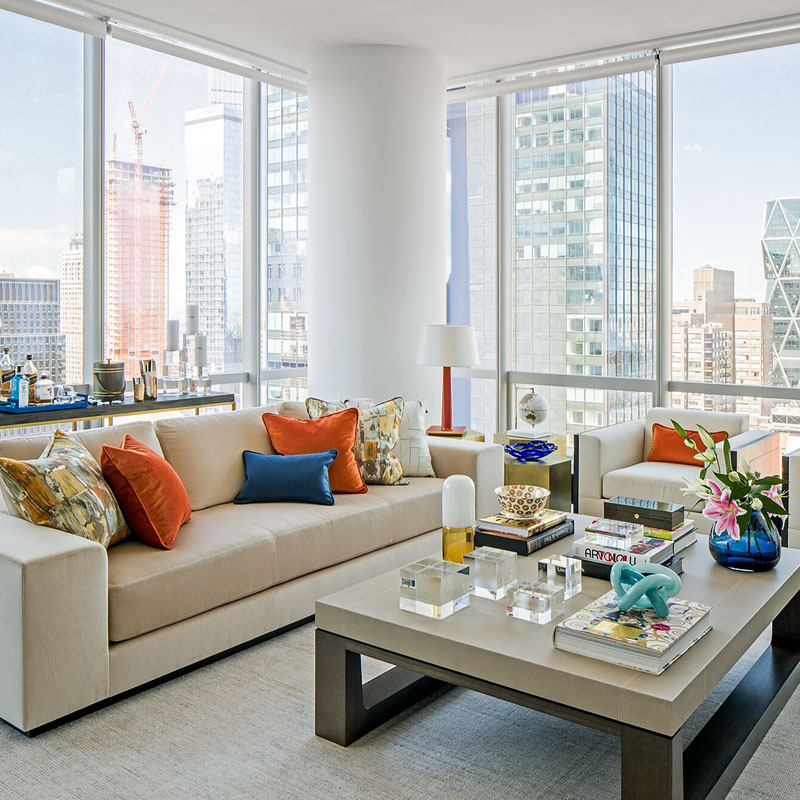 Style it up, but make sure to not overdo it as there are smart ways to give your coffee table an entirely new look. It can be as simple as arranging a pile of books and placing a decorative on top, such as scented candle or vase. Updating the hardware of furnishings and cabinets can have a huge impact on the overall look of the space. For instance, when it comes to home decor ideas kitchen, most homeowners would spend for a new set of kitchen cabinets. But there’s no need to do this when you’re on a tight budget. Instead, consider painting cabinet doors or replacing knobs and handles as they cost almost next to nothing compared to a complete overhaul. 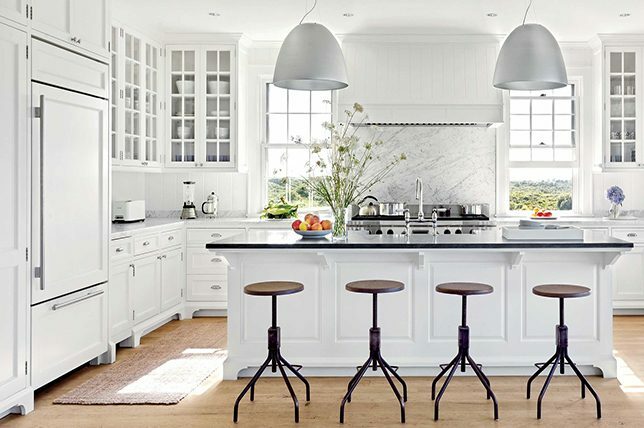 In fact your local hardware store should have an extensive selection of affordable and stylish knobs and handles that will work well for kitchen home decor ideas. Decorating with plants a great effective home decor ideas for living room. But if you don’t have the money to spend on big plants or aren’t gifted with a green thumb, start small – look for small plants that you can nurture and transfer to bigger pots when they grow tall. Just make sure to choose plants that complement your interior design. For instance, there are gorgeous plants that are suitable for modern home decor ideas. There are also indoor plants that produce colorful flowers that can work well for bohemian decors. Of course you can save some money by choosing to style your home by yourself. There are tons of fabulous home decor ideas online and resources that you can take inspiration from. Start by creating your own wall-mounted art collages and recycle your old furniture pieces by painting them with a new color. When it comes to layered, transitional home decor ideas, sometimes a heady mix of brilliant juxtapositions may be all you need. Do be explorative and combine different era’s and design styles to your liking and play around with the endless opportunities. Because sometimes the savviest of decorating ideas are also the subtlest, create a warm and exciting mix of textiles featuring tonal texture via throws, rugs, and pillows for added interest. Plus, since they are minimal in nature, you won’t tire of their timeless appeal. One of the least referenced decorating ideas, innovative wallpapers and covering may be somewhat of an investment, but they’re also certain to boost your homes resale value while ensuring that it remains truly unique to you. And it’s a great alternative to having to repaint every few years. If wallpaper home decor ideas aren’t for you, as they are very particular, take a different approach to your walls and think of them as you would an art gallery. By this we mean be creative in the way you install art pieces for a truly memorable effect. When it comes to unique home decor ideas, just like it would for about any item, finding one-of-a-kind scores will not only work as conversation starters, but they will also ensure that your home feels one-of-a-kind as well. Bringing a touch of the old world into your interior design mix will work to help you create a home that will never feel dated, and will always inspire. Classic rare and antique furnishings also often retain their value when taken care of well, so treat them as the investments they are. 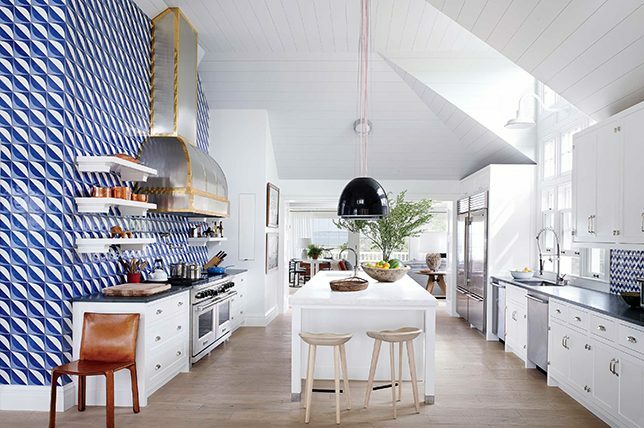 Be fearless when it comes to refreshing home decor ideas and create plays on color with rich color blocked combinations heavily featured everywhere from walls to kitchen cabinetry to furnishings and accessories. By challenging yourself with intriguing home decor ideas, you’ll find that the freedom of choice can be both exhilarating and a bit confusing. That said, leave insecure antics for the novices and take pride in clever mixes of older and more modern references. This will work to give your home ample personality and spirit while helping you avoid like you bought everything in one haul from the same outlet. Just like you dress, create a varied mix of home decor ideas featuring finds from different design styles, era’s, and movements for a home that features and heady mix of interestingly layered finds. 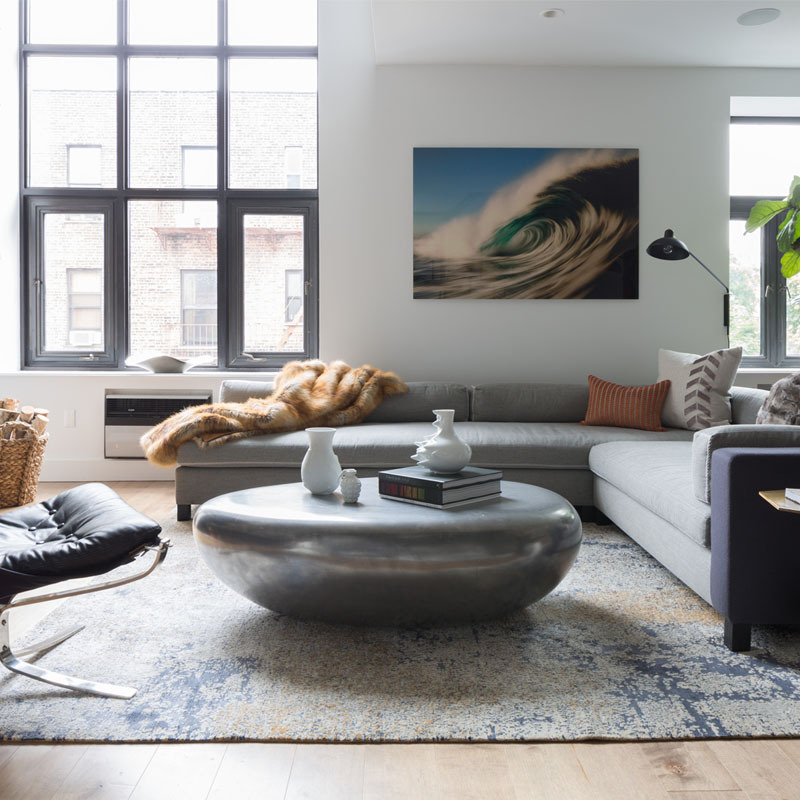 Though modern home decor ideas call for a fresh approach to interior design, there’s no need to skimp on comfortable furnishings as this is your home after all – the place you come back to unwind and kick back after a long day. Do be on the look out for seating that features durable, easy to clean fabrications that are plush to boot. Take a great silhouette and update it with modern fabric for unexpected and unique touches throughout your home. Think a gilt French inspired chair paired with a bold geometric print for home decor ideas that’ll keep them inspired and delighted. 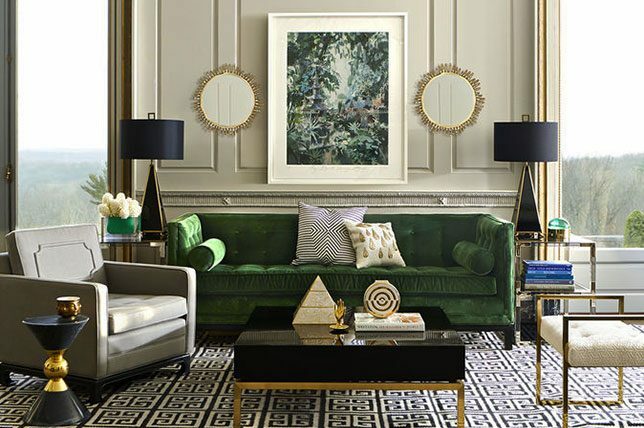 When it comes to wise, investment-worthy home decor ideas, splurge on premium, future heirlooms at least twice a year as after just a few seasons you’ll be on your way to amassing an enviable array of iconic pieces that are certain to not lose their value over time. Don’t spend your entire budget at just one fast-décor retailer. By shopping around and bringing in a variety of established makers at different price points, again, you’ll be able to create a diverse mix of finds – some of which will last longer than the others. Some pieces it pays to invest in? Well, the ones you use the most of course; like a sofa, a bed, a dresser, and a dining table. 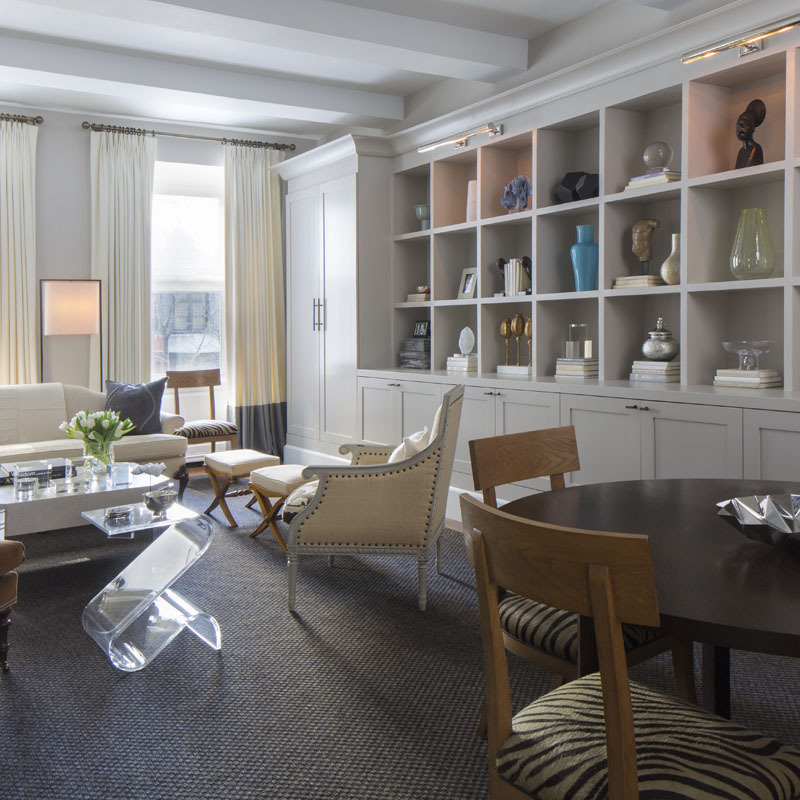 When considering savvy decorating ideas, remember that no space comes together overnight. Do take your time and make measured choices to get the most for your budget and to create a home that’s unique to you. Explore local yard sales, sign up for email newsletters (they usually boast an initial discount), and scour antique markets as there are great finds to be found, sometimes from the least likely of places. Plus you’ll have fun tales to tell when someone compliments that rare Noguchi table you found. Sometimes, the best decorating ideas can be the simplest. With white furniture in a white room, you’re certain to make it feel larger, brighter, and more airy. That said, our interior designers do suggest avoiding white furnishings in high traffic areas like your kitchen or foyer. Need a no-brainer of a simple room refresh? Go about your home from room to room and move displayed items and curios around to give them a new home and to create a new energy throughout. This form of experimentation will also allow you to play around and see what works and what doesn’t. You might just surprised at how great that vase looks moved from a console to your bedside table. One of the best decorating ideas for any space is to forgo obvious trends that are sure to feel fresh for just a few seasons or less. By bringing in timely on-trend furnishings, you’ll find those home decor ideas tiring in no time while giving your home a generic, already seen that feel. 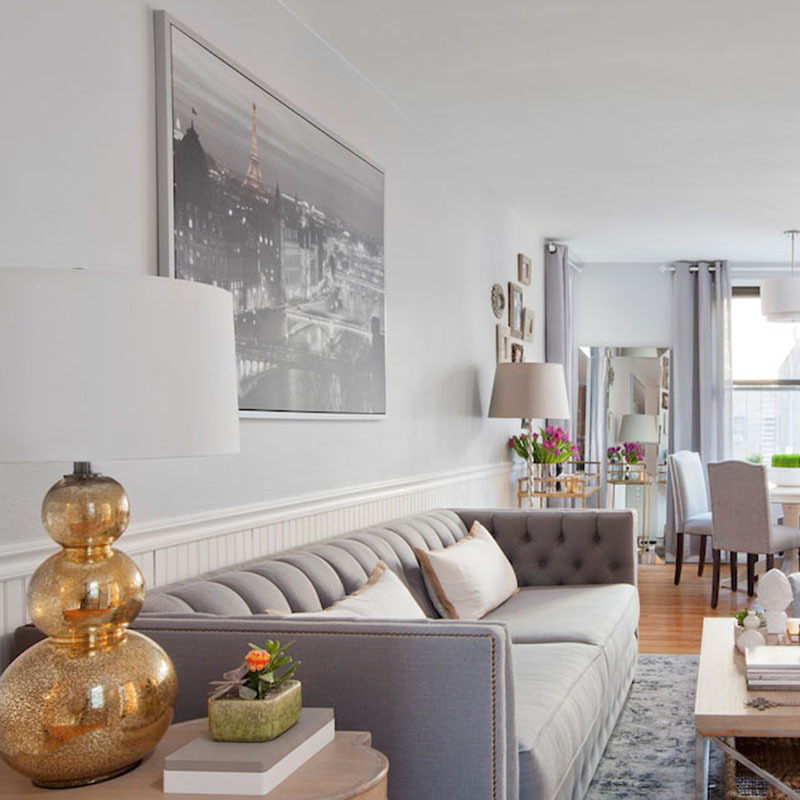 Instead, source tried & true decorating ideas to make the most of your space while bringing it back to life, because more often than not it pays to find inspiration in the classics. Expand a room with rugs in various shapes and scales, colors and patterns. Even better when you can source beautifully crafted vintage rugs as the quality is unsurpassed. Unlike naked floors, rugs also add a distinctive sense of warm and comforting home decor ideas. The second least expensive of home decor ideas we’re covering here, a quick coast of an intriguing color on even a sliver of a wall can up any room’s cool factor exponentially with ease. Think an accent wall here, a painted door there, a refreshed backsplash with an energetic tone. The decorating ideas are endless when it comes to restorative hues. 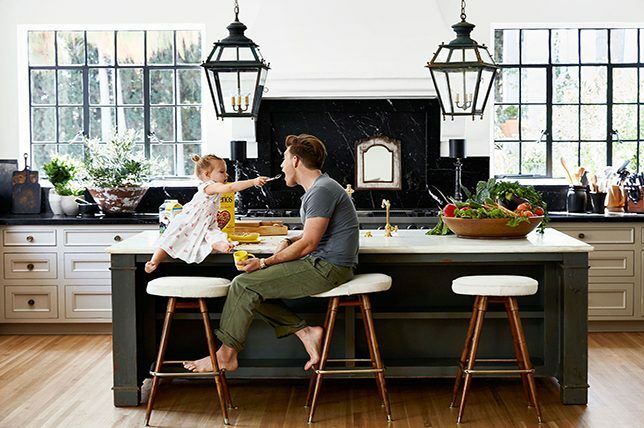 Because your home wouldn’t be complete without elements that represent your lifestyle and tastes, make it personal with home decor ideas that highlight your passions and collectibles that will also work as mood-enhancing conversation starters. Whether your going for a black and white scheme or are looking for home decor ideas that are alive with riotous color, an accent wall or color will work to tie everything together for a more sophisticated and less random feel. Looking for easy home decor ideas that are certain to make every room appear larger? Go against common interior design practices and place furnishings a couple of inches (at least) away from walls to give rooms an instantly larger feel. This way you’ll put clever decorating ideas to good use as who wouldn’t want the luxury of having their home appear larger without technically having to do any work to do so. One of the funnest of all revitalizing home decor ideas, rearranging bookshelves can be an exciting trip down memory lane. Create vignettes with books featured however you like from stacked to sideways, and add decorative extras to bring shelving units to life while allowing the ye to focus on fresh decorating ideas they’ll want to pick up on too. Easy and free to do, move furnishings from room to room for the quickest of refreshing decorating ideas and fun experimental moments. Just because you bought that chair for your living room doesn’t mean it has to spend its entire life with you in that one spot. Instead, move pieces around every 3-5 years to surprise guests and even yourself.